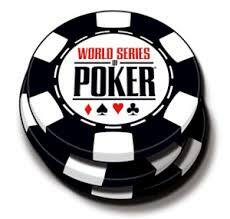 The 2015 World Series of Poker Main Event has come to an end and to no one’s surprise, it is Joe McKeehen who earned the first place finish, outlasting his competitors. McKeehen has played strong through the entire Main Event, having the chip lead going in to the final table and taking out players left and right to only cushion his lead further. This is the first WSOP bracelet win for McKeehen, who outlasted the field of 6,420 players to earn the gold bracelet and the first place prize of $7,683,346. When final table play began, McKeehen held a huge chip lead and would continue to maintain his lead throughout the competition. He took out the first three competitors himself on Sunday, moving on to six handed play on Monday. He then outed one more player, with competitors taking down two additional players to leave only three remaining. By the time three way play began, McKeehen would hold over 60 percent of the chips in play, a massive lead he would not relinquish. As the final day began, it was McKeehen, Josh Beckley and Neil Blumenfield at the table. McKeehen would take down Blumenfield first with pocket queens to Blumenfield’s deuces. He would then play just 12 hands before eliminating Beckley in second place with A-10 after taking on Beckley’s pocket fours. With the win, McKeehen earned his first WSOP bracelet and has now earned over $9.7 million in tournament poker game play.